Here at Leggett Immobilier, we have been helping people sell French properties for more than 20 years, so if the time has come to sell yours, we will be happy to help you out. If you would like to put your French property on the market with Leggett Immobilier, please feel free to contact us on: 08700 11 51 51 (UK only) +33 553 608 488 (other) or email info@leggett.fr and we will organise for your local Leggett Immobilier agent to contact you. All Leggett Immobilier agents live in the area in which they work, so your local agent will probably be the one that lives closest to you. This reflects the unique way that Leggett Immobilier is structured. With offices in France, a network of local agents spread across the country and a cross-section of trusted international marketing techniques to promote your property; Leggett Immobilier is able to reach a wide range of clients, whilst providing you with a consistent local agent to work with you whilst you are selling your property. Assess the total number of rooms at the property: only‘living’ or ‘sleeping’ spaces count officially as rooms. Otherareas such as your kitchen, bathrooms, corridors, landings,laundry room and caves are not included. Example: if youhave 2 bedrooms, 2 bathrooms, a sitting room and kitchen,you are said to have a total of 3 rooms. The number of roomseach property has, is displayed on the Leggett website. - Provide you with an informed valuation based on both thesize of your property and their local property knowledge,discussing with you the price, and pricing strategy for yourproperty sale. - Take some details from you to allow them to draw up the ‘mandat de vente’ - this is a legal document, which allows us to market your property. - Request your full DPE (diagnostic de performance énergétique) and discuss the diagnostic tests that you are required to have carried out prior to the sale of your property. - Ask you some general questions regarding your property, for example are there any droits de passage (rights of way) across your property? do you have a fosse septique? what condition is the roof in? - these are the types of questions which may be asked by prospective clients. Following the visit your Leggett Immobilier agent will send you your mandat de vente to sign and send back to the Leggett Immobilier mandat team. The mandat de vente document is, of course, in French; but should you wish for a standard English translation, please just ask your Leggett Immobilier agent and we will be more than happy to provide you with one. Only when our in-house mandat team have received your correctly signed mandat de vente can your property listing go live on our website. There are several different types of Mandat de Vente, the most common being the ‘mandat de vente sans exclusivité’; a mandate that allows you to market your property yourself as well as with other estate agents. 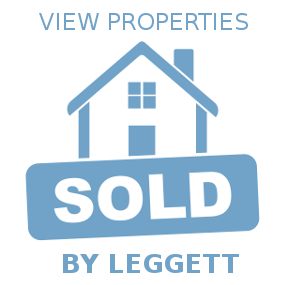 However, we at Leggett can also offer the Leggett Exclusive mandate which will take away the stress of dealing with multiple agencies, will improve the exposure of your property and increase the chances of a quick sale (we sell 1 in 2 of our exclusive mandates and will reimburse the costs of your diagnostics at the time of sale). One of the things that we pride ourselves on here at Leggett Immobilier is our on-going innovation when it comes to marketing properties for our vendors. We believe that exposing your property to a broad, relevant and engaged pool of potential clients is one of the keys to success. Our central marketing team work hard exploring new ways to present your property, as beautifully and as widely as possible, to prospective purchasers. Where will we market your property? The main Leggett website receives over 2.8million visits per year from over 200 countries worldwide. With nearly 16,000 properties listed on our websites at any one time, clients return regularly to see the latest additions, recent reductions and just to browse again. We are one of the few French estate agencies that have been attending property exhibitions for many years and continue to do so every year. We take all the property listings on our website to every exhibition. We often run very well attended seminars on 'Life in France' or 'Areas of France' at these exhibitions, and clients are always very keen to talk to our teams and view the properties that we have listed. The exhibitions we attend include all of the major UK foreign property events including: The France Show, A Place in the Sun (London, Birmingham and Manchester), French Property Show and Second Home International. We also attend an increasing number of international events. Our in-house PR team is constantly gaining exposure for vendors in a cross-section of different media. We have close relationships with journalists in the UK, France and Internationally and are regularly featured in publications such as The Daily Telegraph (UK), The Wall Street Journal (USA), Country Life International, The Financial Times (UK). We work with portals in a range of countries, these include (but are not limited to): Rightmove, Le Bon Coin, Zoopla, A Place in the Sun. We have an association with Hamptons International and several other partners in the UK as well as a selection in the Channel Island and several across France. The photographs included in the listing of your property are extremely important in attracting potential buyers. It is for this reason that, whenever possible, we like to have your property pictured with a blue sky, well lit and showing off the most beautiful features. All Leggett Immobilier agents are trained in property photography and we have an in-house specialist who provides assistance and advice to agents on achieving the highest quality photography possible. As part of the on-going marketing innovation, Leggett Immobilier pioneered the use of 'virtual-tours' on property listings. Usually something that vendors are required to pay for, virtual-tours are available to all Leggett Immobilier vendors, free of charge. Virtual-tours can be made for any property, but are particularly useful for larger properties. They allow clients to 'virtually' tour a property prior to visiting and are a great way to whet a client's appetite and excite them prior to their visit. Prior to the marketing of your French property, it is compulsory to have a Diagnostique de Performance Energétique (DPE) undertaken by an approved expert. Whether your property is advertised by an estate agent, or privately by yourselves, the results of this test must be displayed within the listing. Leggett Immobilier will not be able to put your property listing live until we have the full results of this test. The DPE test provides information on energy consumption, greenhouse gas emissions, levels of insulation and other factors which may affect heating bills. Alongside the DPE there is a second set of tests that must be carried out by an approved expert. This is called the Dossier Diagnostic Technique (DDT), and again it is the vendor's responsibility to have these carried out. We encourage vendors to have these tests undertaken as soon as possible and to pass the results to your Leggett Immobilier agent. If the tests highlight any anomalies, it is much easier for your agent to explain this to a client when they are first interested in your property. It can be unsettling for a client (and a sale) if these tests uncover an anomaly after an offer has been made. Lead and Asbestos: Paint is tested for lead content on all properties built before 1949; and all properties built before 1997 are tested for asbestos. Gas (fixed only) and Electricity: If gas or electricity was installed or renewed in the property more than 15 years prior to the property being sold, both of these installations are checked. Natural risk and parasites: All properties are evaluated for natural risks (for example flooding) and also to ascertain if there are any risks posed by industry in the area. Properties in areas affected by parasites which can damage buildings, are tested to see if these parasites are present. Swimming pool security: If the property has a swimming pool (which is embedded in the ground by more than one meter) the security features will be tested. Smoke alarms: From March 2015 all properties are required to have a smoke alarm. Sewerage: Many rural properties in France are not on mains drains and have a 'fosse septique' (septic tank.) If this is the case, your system will be subject to a test to ascertain whether this septic tank conforms to current norms – many don't. Where properties are connected to mains drains a certificate confirming this will be requested from the local Mairie. It can take some time to obtain septic tank reports and this can hold up a sale or even result in it being lost so you are strongly advised to get this done at the time of putting the property for sale. Your Leggett Immobilier agent can help with this if necessary. Should the test on the fosse septique highlight that the system does not conform, the purchaser of the property is obliged to have it brought up to a conforming level within a year of purchasing the property. This can involve having a new system installed and therefore may have a cost implication to potential purchasers. This can cause a problem if this test is done after an offer has been negotiated on the sale of your property. Unlike some countries, including the UK, France does not include a structural survey in these tests. It is possible for a purchaser to have a structural survey done, but the vendor is under no obligation to carry this out. Once an interested purchaser has been found for your property, they will make an offer. We advise our clients that they should only ever make an offer on one property at a time and should stop viewing other properties as soon as an offer is made. In the same way, we urge vendors to feel committed to a purchaser once an offer has been agreed and to stop showing the property to other potential purchasers. Your Leggett Immobilier agent will handle the negotiation and will keep all parties informed as the process progresses. 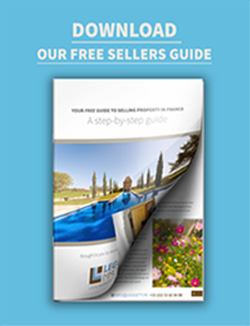 It is possible that a purchaser may want to include some conditions, such as needing a mortgage to finance the purchase or applying for planning permission to put in a swimming pool. This is quite a normal part of the negotiation process and conditions can be written into the initial sales document – the Compromis de Vente. As soon as the sale has been agreed, Leggett Immobilier will begin putting together all the necessary paperwork. Usually around three - four months after the signing of the Compromis de Vente, the notaire will have undertaken all of the necessary work and you will have agreed a date for the final signing of the Acte de Vente. This will take place in France, at the notaire's office. Once this final document is signed, you will hand over ownership (and keys) of your property to the new owner. Before this meeting the notaire will ensure that the balance of funds to complete the purchase is in their bank account, this includes any funds which are being paid by a mortgage company. You will be required to provide the notaire with a IBAN to enable him/her to transfer funds (minus taxes and any mortgage repayments or Capital Gains Tax you may have to pay) to your account.